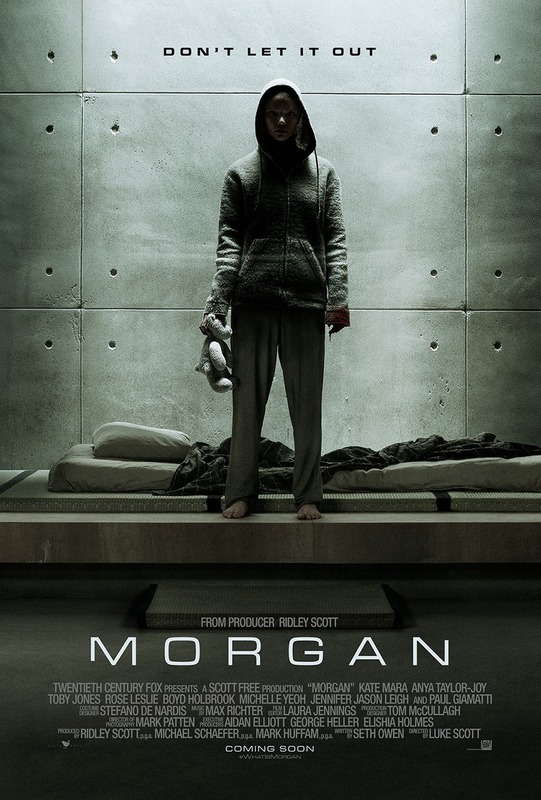 Morgan DVD and Blu-ray release date was set for December 13, 2016 and available on Digital HD from Amazon Video and iTunes on December 2, 2016. Morgan is the company's greatest achievement - a fully realized artificial intelligence in human form that walked and talked within a month of her creation and proved herself capable of sustaining herself like any normal child within six months. Yet, few people within the company actually know that Morgan exists, and no one knows her full capabilities. After a horrifying accident at the laboratory facility where the company houses Morgan, a corporate troubleshoot and risk-management consultant soon learns that the company has been safeguarding what could turn out to be a fantastic hope for humanity or a threat to everyone.